The Idle hide under option allows you to exclude a certain area of your website from snowing. You can add there the name of the div or id. 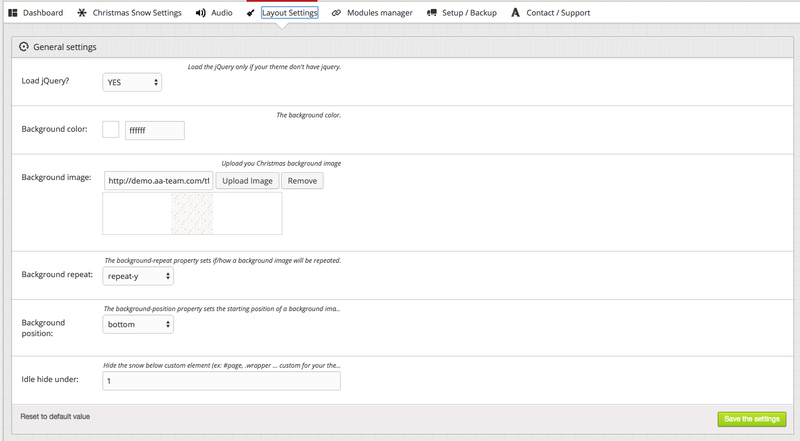 The plugin comes with 3 christmas patterns that you can use on your website to bring some Christmas Magic!